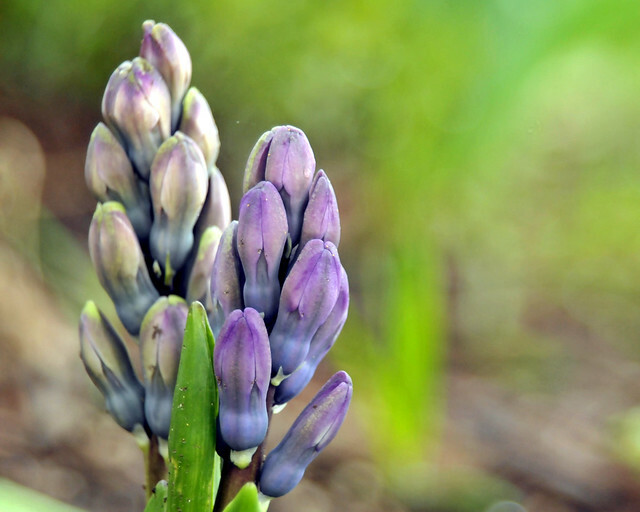 Today is one of those drippy, not-quite-rainy days that sort of define spring in Wisconsin. The light is diffuse and everything is wet with drops clinging and generally enhancing things. No harsh shadows and rich, saturated color ... perfect! 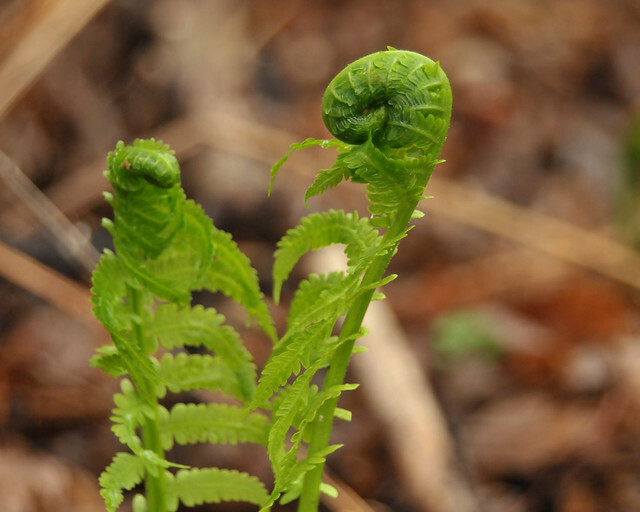 These cinnamon ferns generally unroll in a tight little circle. This one caught my eye because of the elongated curl. I suppose if it could speak it would holler at me for making it look fat! 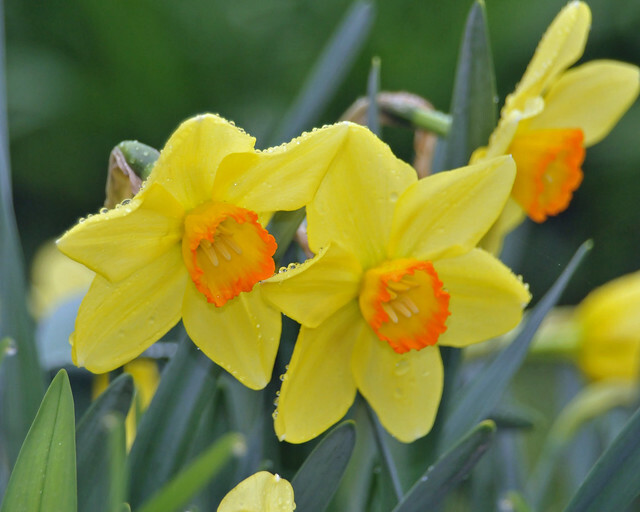 Daffodils always look great when they are wet, but they also point their bloom at the ground so it is tough to get an interesting photo that captures the dewy wetness and the face of the flower. I tried. 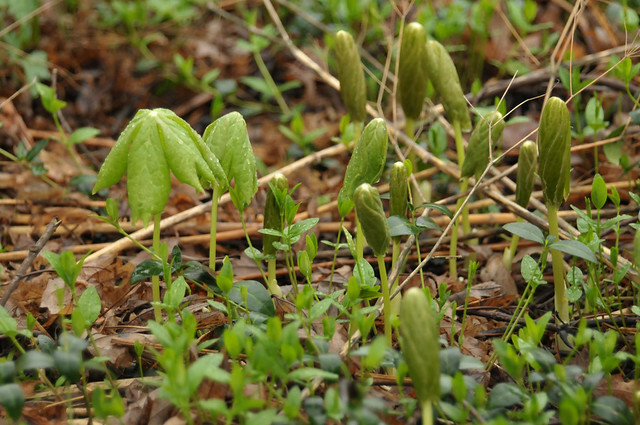 I have a small patch of mayapples too, and they always delight me with their unfurling shape.